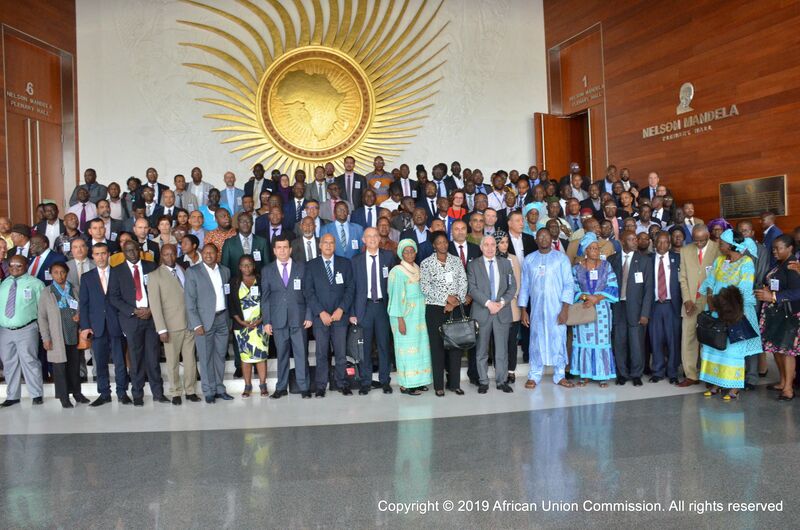 Addis Ababa, April, 01 2019: The 3rd African Union(AU) Specialised Technical Committee(STC) on Social Development, Labour and Employment (stc-sdle-3) began at the experts level in the Headquarters of the African Union Commission. The AU Commission is resolute in supporting Member States to learn and invest in the best practices of institutional development and address the what, where and how for strategic investments in poverty eradication at national and regional levels towards social development, labour and employment in Africa to be made, and ascertain the prerequisites for accountability and responsibility to be enforced. “Poverty is one of the main issues that continues to affect our continent, causing dire results and limiting the economic, social, and even cultural development of Member States. It is important as key stakeholders for us to deliberate on this year’s STC’s theme especially in line with the AU theme of the year which focuses on refugees, returnees and internally displaced persons, Towards Durable Solutions to Forced Displacement in Africa”said Mrs.Cisse Mohammed Mariama Director for Social Affairs, AU Commission. Speaking at the opening ceremony the Director also said the Eperts meeting will discuss solutions and recommendations for the eradication of poverty on the continent and the goals of Social Agenda 2063 which clearly insists on the need for inclusive growth and sustainable development for all to eradicate poverty in one generation and build shared prosperity through social and economic transformation of the continent.“ Putting an end to conflicts, eradicating poverty, meeting the basic needs of our population, ensuring employment, income generating skills and competencies, safeguarding and nurturing the dignity and human rights of our populations amongst other issues highlighted in Agenda 2063 cannot be tackled individually in view of their intricate linkages and associations” she added. Officially opening the expert session, Mr. Mohamed Khyat, out going Chair of the STC-SDLE 3 and Permanent Secretary of the Ministry of Labour, Employment and Social Security of the Republic of Algeria welcomed all participants and thanked the Government of the Federal Republic of Ethiopia and the African Union for the warm welcome that was reserved and the arrangements made for the smooth conduct of this session. “During my period as the Chair of the Bureau,several actions and activities have been carried out since 2017 when the Second session of the STC-SDLE was held in Algeria,including Development of a Protocol on Social Protection and Social Security, Development of the Agenda 2063 Social Agenda,and the Establishment of the Employment and Social Cohesion Fund” he said. He further urged the delegates to work all the draft that will be presented and ensure it has a positive change in society. The STC experts session will continue between 2-3 April and will be preceded by the ministerial session on 04-05 April. Media representatives are invited to cover the ministerial session opening. The STCs, which are technical organs of the Union, were established under Article 25 of the African Economic Community Treaty (the Abuja Treaty). With the transformation of the Organization of African Unity (OAU) into the African Union Commission (AUC), in order to have specialists from all corners of Africa discussing the cooperation in different fields to enhance the integration between the Member States of the Union.